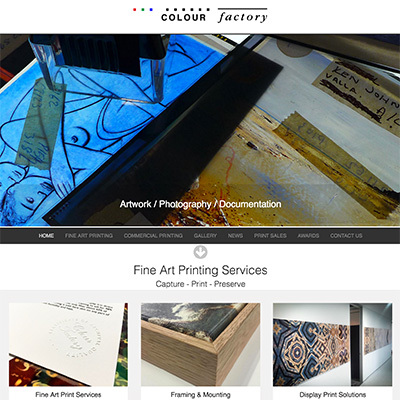 Colour Factory is a full service, fine art photographic and digital imaging print lab and studio located in Fitzroy. When we first met Colour Factory they already had a website and a large social media following. They are a long established business and have several key areas they are specialists in. The problem was that they weren't seeing much in the way of enquiry from their web presence. When you offer unique services this becomes significantly easier. The problem is that sometimes businesses are too close to see the issues that are preventing them from reaching and engaging their target audience. And that's the key right there; targeting the type of customer you want. This presented both an opportunity and a challenge. The challenge was that it is difficult to sort through large volumes of content, but on the plus side it's great to have content to work with! We began by defining exactly the type of client they wanted, and exactly the type of service they offered. 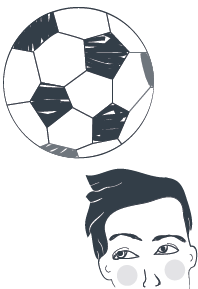 We redesigned their site and overlaid it on the existing content. In fairness this process continues as it often takes a while for these things to become clearer. This is one of the reasons we structure our offering this way - if we'd just built the site it would look nice but would probably still be a mess! From there we began sorting the content into logical groups and optimising it for search engines. This process continues. By approaching it in phases it is easier to manage and analyse the results. The results have been nothing short of stunning! Our initial focus has been fine art printing services, limited edition printing and services targeted at artists. We'll continue to expand the work to include their art gallery, large format commercial printing, limited edition print sales, etc. The future is looking fine, very fine!